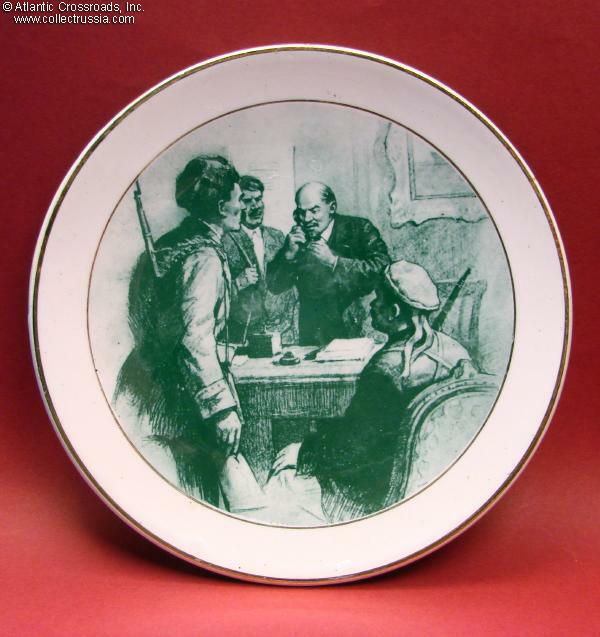 Porcelain Plate "Lenin during the Revolution", Budy "Hammer and Sickle" Faience Factory, mid 1950s - 1967. 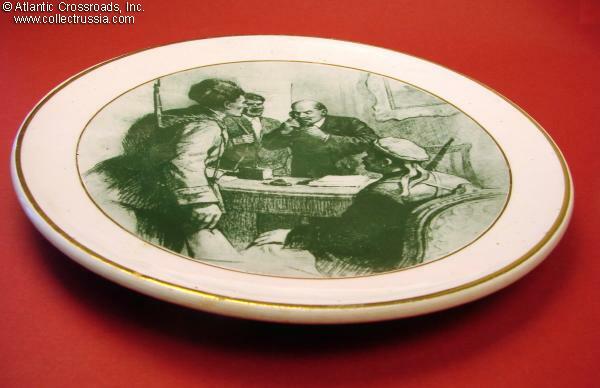 Measures 7" in diameter with 5 ½" artwork. Pre-drilled holes for a hanging cord. 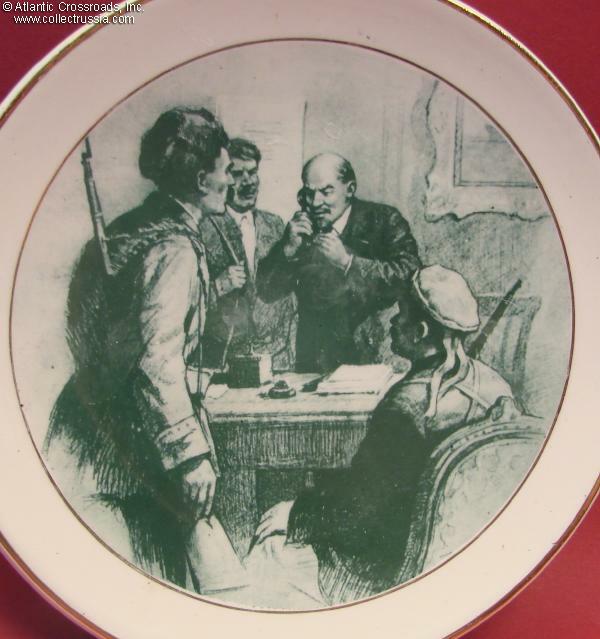 Dramatic image shows Lenin giving orders over the telephone. 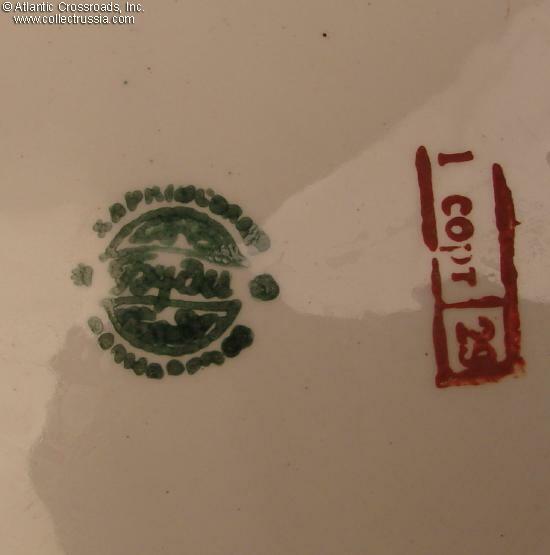 Reverse shows Budy Porcelain Factory trademark shows trade mark of the Faience Factory in Budy, Ukraine /fig. 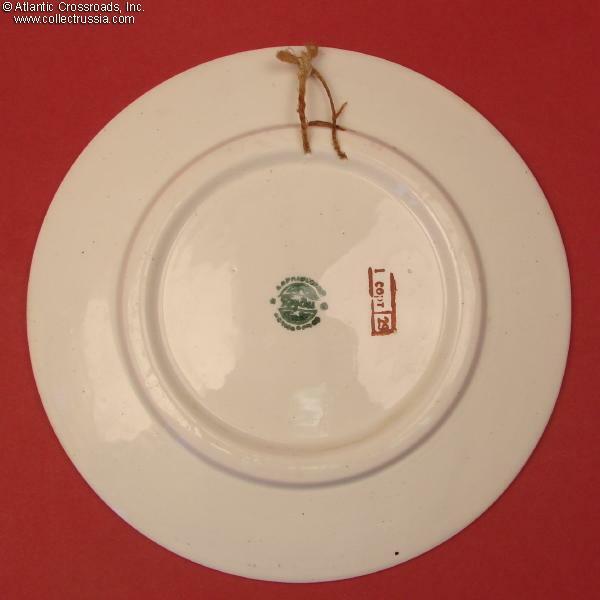 #78 in Volume One of "Marks on Soviet Porcelain, Faience, and Majolica, 1917-1991 by Nasonova et al" /. Also marked "1C" for "first sort," indicating that the factory graded it as export quality. In excellent condition, with nicely preserved gold edging. No cracks or chips. We do not know the artist's name but we have, however, frequently seen similar images elsewhere in Soviet propaganda books, post cards and movies. 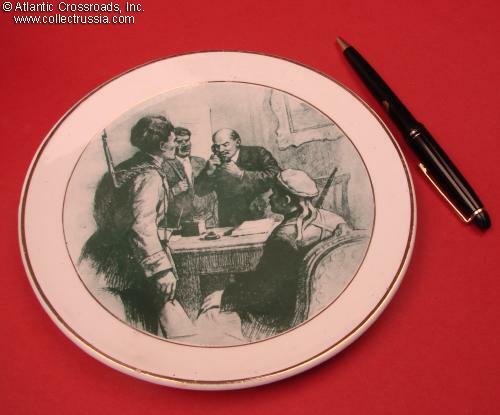 The artwork clearly illustrates Lenin during the first days of the Bolshevik Revolution, probably in his headquarters at the Smolny Institute in Petrograd.